As a colossal Iwasawa fan, I agree with this sentiment. For once, I don’t think I’d care if they messed with canon, as long as we got more of her, GirlDeMo, and their music. 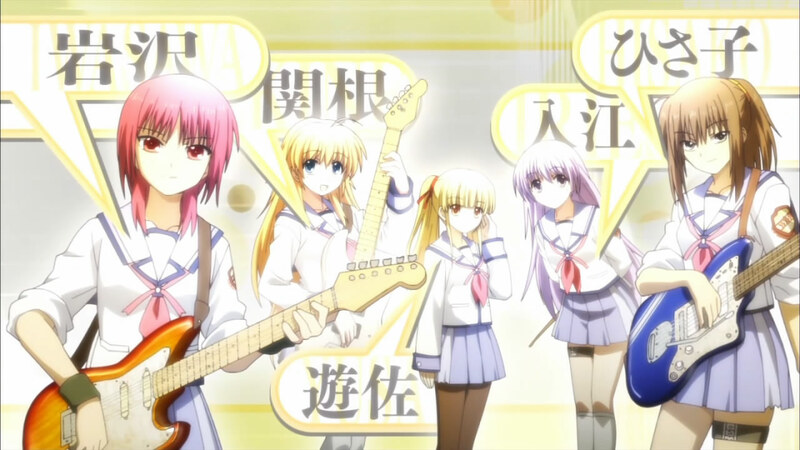 Hmm, I’m not sure how I feel about an Angel Beats prequel… but I would totally dig more GirlDeMo. I love their songs. To be honest, me either. I really loved the first season, and enjoyed Angel Beats -zero-, but I’m not sure if a prequel could work effectively. The one thing I do know for sure is I want more GirlsDeMo. wait, do you have evidence of this megami things? That said, it’s impossible to tell if it’s a fake or real. So someone could just be trolling. Awesome, I didn’t know about the rumor =D If it is true, I think it could either be a prequel, a retelling, or possibly a continuation following the that quick OVA of Otonashi staying behind in the purgatory world. I hope it’s one of the latter two though. There is a prequel light novel that tells how Yuri and Hinata formed the SSS, learned about Angel, etc., before Otonashi arrived. If it is a prequel, I assume it’ll be based on that story. I think the current guess is it’ll be an adaptation of Angel Beats -Zero- onwards. I need to watch Angel Beats….in the very near future. It’s planned for after I get through Nabari no Ou, Kuroshitsuji II, and Maburaho.